The main goal behind Embark is to end all preventable canine diseases. Following this mission, the company has recently published its first scientific research. In short, Embark has discovered an important genetic mutation that explains why some dogs have blue eyes. Specifically, this refers to a duplication of DNA sequence near ALX4, which is a gene on canine chromosome 18 that affects craniofacial, hair follicle, and skin development. Last year, Embark’s scientific team realized the potential importance of the genetic foundation for blue eyes in some dogs. It was already known that two genes that influence the “Piebald” (S-locus) and “Merle” (M-locus) coat color traits also predict the likeliness of a dog having blue eyes. However, some cases of blue eyes in canines still remained unexplained, even after taking those genes into account. For example, some canine breeds, like tri-colored Australian Shepherds and Siberian Huskies, were known to have blue eyes that can’t be explained by S-locus or M-locus. 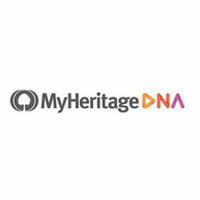 Embark used the genetic data obtained from the project participants and conducted a genome-wide association study (also known as GWAS) on eye color. By correlating genetic and trait variations, the study was able to identify genetic variants that were strongly associated with the trait of interest. The study pointed to a genome region near the ALX4 gene. Interestingly enough, a different study found that a genetic variant of this same gene also affects the potential presence of hindlimb dewclaws in Great Pyrenees. 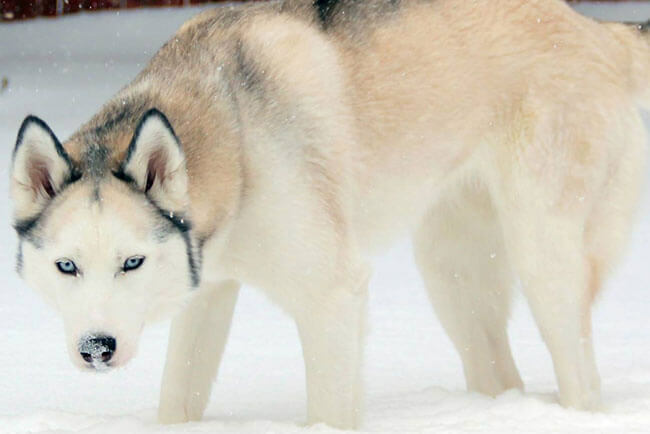 Looking further, Embark scientists found out that canines with blue eyes carry a genetic sequence that includes a 100 kilobase duplication (1 kilobase = 1,000 DNA basepairs). Learning how this duplication actually leads to the development of blue eyes will take a bit more work, but the scientists believe that it may disrupt the process during which pigment is deposited in the iris during eye development. The newly discovered genetic variant can explain up to 75% of cases of blue eyes in the used dataset. If you have a pooch with blue eyes that Embark failed to catch, make sure to let the company know since it can lead to the discovery of even more genetic variations and explain the remaining 25% of unexplained blue eyes in dogs. 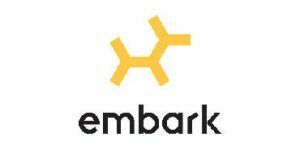 Although this study didn’t offer any major breakthroughs regarding dog health, it still highlights the dedication of Embark’s team and their determination to improve canine health on a larger scale. In just one year, the company collected enough data to launch the largest canine study of its kind in the world. On top of that, the research is published open-access, so anybody can read it and use its findings, which can help fuel other studies and research projects.